TEHRAN (AP) ― Iran said Saturday it has successfully sent a monkey into space for a second time, part of an ambitious program aimed at manned space flight. Iran’s state TV said that the launch of the rocket dubbed Pajohesh, or Research in Farsi, was Iran’s first use of liquid fuel. It reached a height of 120 kilometers. It said the monkey, named Fargam or Auspicious, was returned to Earth safely. TV footage showed the rocket blasting off and then showed the monkey, strapped snugly into a seat. The report said Fargam’s capsule parachuted safely to Earth after detaching from the rocket in a mission that lasted 15 minutes. Iran frequently claims technological breakthroughs that are impossible to independently verify. The Islamic Republic has said it aims to send an astronaut into space. Fargam is a male monkey of rhesus macaque race with brown fur and a pink face. The primate weighs 3 kilograms and has a height of 56 centimeters. Iranian scientists say a bigger monkey or another animal will be tested in the next space flight. State TV said the rocket was equipped with new features including sonic sensors and electronic devices that enabled scientists to monitor the monkey, its vital signs and voice. Mohammad Ebrahimi said Iran’s first use of liquid fuel meant the rocket’s speed was about half that of a rocket using solid fuel. 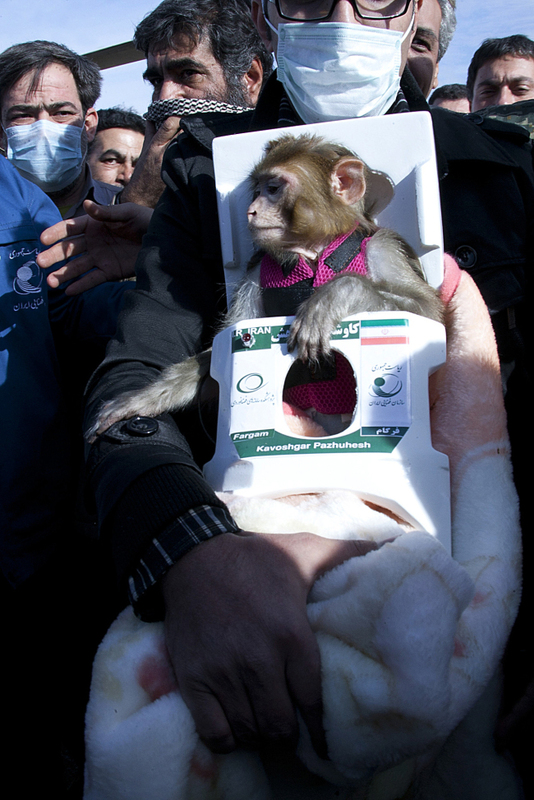 Iran said it sent its first monkey into space in January, reaching the same height of 120 kilometers. Ebrahimi said the monkey’s appetite showed it was in good health after the journey. Iran aerospace program is a source of national pride. It’s also one of the pillars of its aspirations to be seen as the technological hub for Islamic and developing countries. The U.S. and its allies worry that technology from the space program could also be used to develop long-range missiles that could potentially be armed with nuclear warheads. In the January mission, one of two official packages of photos of the simian space traveler depicted the wrong monkey, causing some international observers to wonder whether the monkey had died or that the launch didn’t go well.